Over the past two decades, the technology used to conduct drug testing within community corrections has become more sophisticated. The primary method for detecting substances is still urinalysis; however, with advancements in technology, community corrections agencies have new ways to test by analyzing oral fluids, sweat, and hair. This course will familiarize you with an overall view of drug testing and issues that surround drug testing. Identify technologies in todays market that can be used for drug testing. Describe common subversion techniques that individuals on supervision use to alter the test results. Identify possible substances that may interfere with the validity of a drug test. 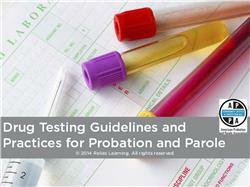 Discuss strategies for responding to results of drug tests throughout the supervision process. Helen Harberts has been working in criminal justice since 1983. As a Chief Probation Officer (sworn peace officer) over 5 years she implemented an adult drug court, juvenile drug court, DUI Court utilizing naltrexone, Domestic Violence Court, and Mentally Ill Offenders Court, all based on the problem solving court model. As an attorney, she practiced law exclusively in problem solving courts for over 5 years. 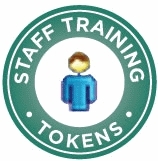 Ms. Harberts has lectured and taught extensively throughout the United States on drug testing, community supervision, adolescent brain development, Methamphetamine topics, psychopharmacology of drugs, what works in treatment, sanctions and incentives, confidentiality and ethics, and various other problem solving court topics. She serves on the faculty of the National Drug Court Institute, National Center for DWI Courts, National Judicial College and others. She has published a Life Skills Workbook for Hazelden Community Corrections Series, as well as chapters in Drug Courts, Springer Publications (2007) and the NDCI |Judicial Bench book. Ms. Harberts also appears in the 4 DVD series Essential Elements of Adult Drug Courts published by the Bureau of Justice Assistance, the National Center for State Courts, and the National Association of Drug Court Professionals. She has done video and webinar trainings for the National Association of Drug Court Professionals, the National Judicial College, and the National Center for DWI Courts. Ms Harberts continues to work with and train probation and justice professionals across the United States. She retired from public service in Butte County in 2011. Ms. Harberts was California’s Chief Probation Officer of the Year in 2000, and was honored as 2009 Prosecutor of the Year by Region 8 of the California Narcotics Officers Association. In 2013, Ms. Harberts was elected to the Stanley Goldstein Drug Court Hall of Fame. It is the highest honor bestowed by the National Association of Drug Court Professionals. Disclosure: Helen Harberts has declared that no conflict of interest, Relevant Financial Relationship or Relevant Non-Financial Relationship exists.